Mills has made soundtracks—especially for silent films—since at least 2000’s accompaniment to Fritz Lang’s sci-fi epic, Metropolis. But whereas these earlier projects usually mine his favorite preoccupations of futurism and outer space, Ruttman’s 1927 masterpiece is grounded in both past and place. Although he’s not German, Mills is eminently qualified for the place in question, as he first came to Berlin in 1990 with Final Cut shortly after the fall of the Wall. He returned the following year with UR, became a resident of Tresor after that and a resident of the city itself for nearly a decade. For the former, as sonic anachronism, it’s exactly this dissonance that makes the prospect intriguing. Mills would surely agree. Although famous as a futurist, he went to lengths to evoke a bygone era by transmitting a request that attendees dress in ‘20s-era fashion—although mostly it was those in service of the event who participated. Attired himself in a beautifully tailored and rather timeless three-piece suit (he’s a well-known clothes horse, so it’s probably vintage), he manned three CDJs and a mixer. Mills live generally consists of his own productions manipulated as only someone with his frenetic DJ precision can; also a turntablist, he long ago raised the art of DJing to a level deserving of another label. This instrumentation plus a sound palette of entirely electronic sounds soon aligned itself with the screen—it turns out that avant-garde affinity makes connections even over 90-year spans. Berlin: Die Sinfonie… is still a marvel of editing and cinematography. Shot over the course of a year but edited to convey a normal day’s passing, the varied pacing is one its joys, and it offers Mills much to work with. Graphic visuals dovetail with filmic scenes, such as the electricity lines and pylons rolling past a train. Modernity is a theme settled early on, popping up again as shots of sleek Bauhaus architecture or subtle political suggestions—a gorgeous jewelry store appears right before a woman begging, for instance. During the performance, gradual musical passages built in the first act with shots of empty streets, a hint of softness sounds when living creatures: a solitary man, a dog. One of the pleasant surprises at the German premiere was how melodic much of the music was, especially for a musician who has made so much of his career about rhythm. Fragments and phrases were looped and layered, and more so as more activity appeared on screen—the busier the subjects, at work or in transit, the busier the music. Scenes of industry, as expected, lent themselves to mechanical rhythms, and the propulsion of city life became equally automated. 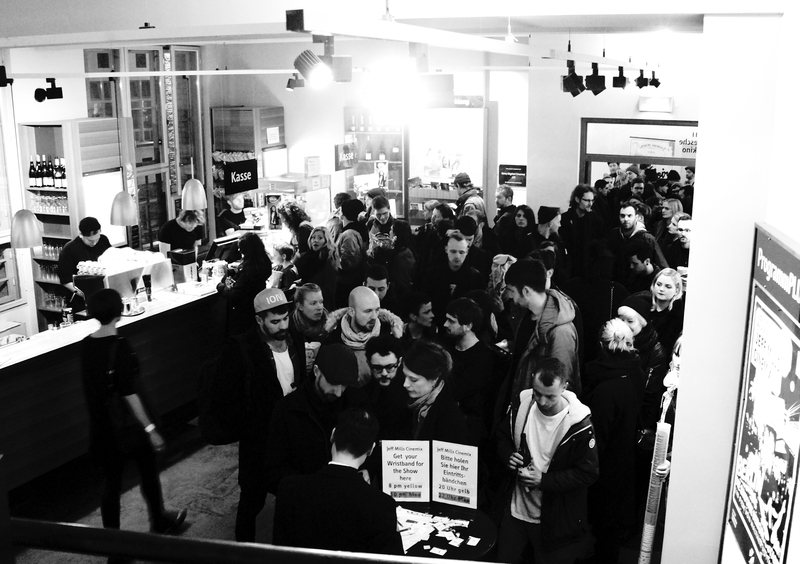 But Mills never fell into cliché; the only passages that truly resembled dance music were an incredible house section accompanying scenes of children in the city, and at the very end, when his trademark techno flourishes crescendoed to Berlin at night. Filmed and premiered during the height of the Weimar Republic, there’s obvious resonance with Berlin’s current status as nightlife capital. But through the elegance of artists like Ruttmann and Mills, that era and this one are revealed not only as times of hedonistic pursuit but also of abiding beauty, achievement, and a glimmer of truth. 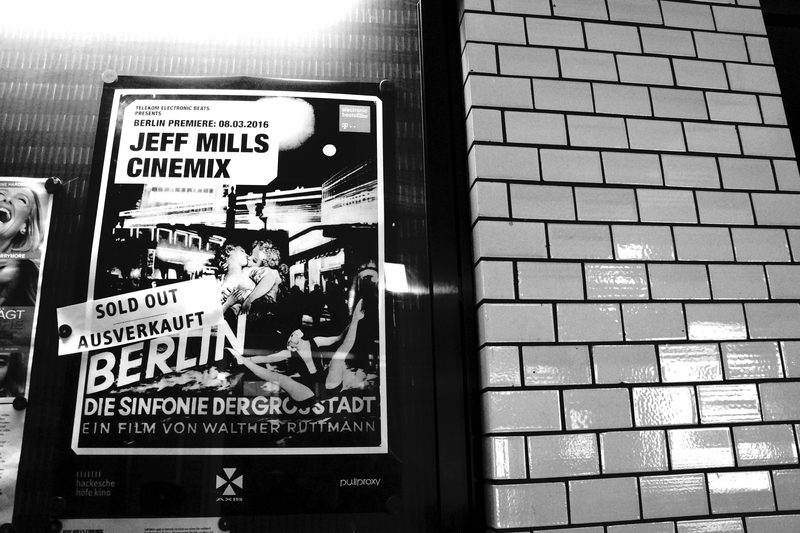 Berlin: Die Sinfonie… is well-regarded as an artistic work, and Mills is a worthy collaborator. Like the film itself, he does not linger—not at any point in the score, not as a musician or a DJ. Yes, he still represents a techno future, but his restless quest has resulted in fine levels of compositional nuance drawing from his established sound to realize a delicately gorgeous atonal balance between the interests of history and futurity. 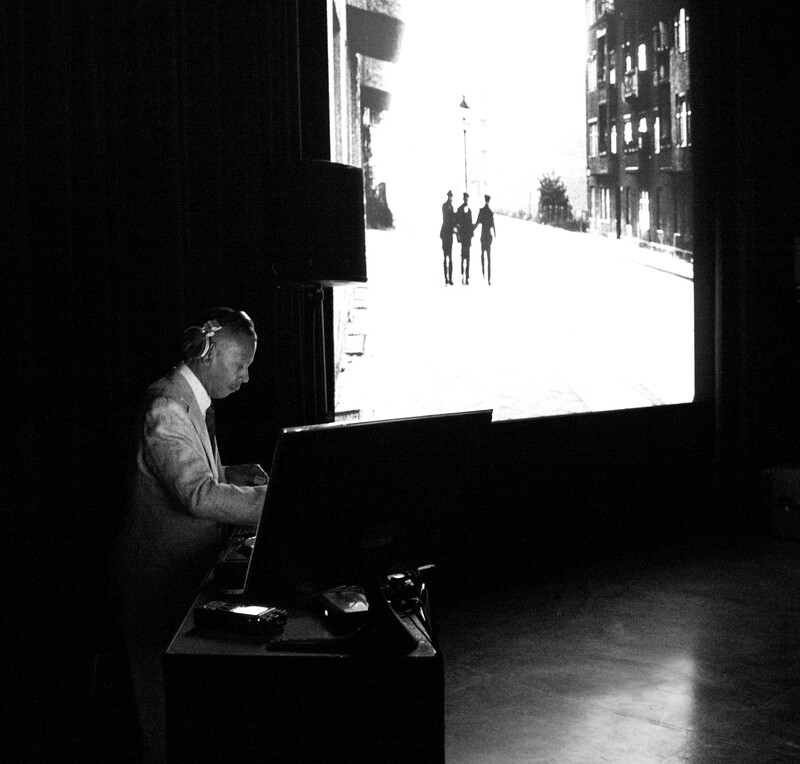 Video from Jeff Mills’ live performance of his score for Berlin: Die Sinfonie der Großstadt is coming soon on Electronic Beats.